SMM-geeks - Instagress alternative? It’s here! That’s why we offer you to take a part in history of Instagram promotion. We present SMM-geeks — promotional tool for Instagram, which can help you promote your account with needed criteria on any range. 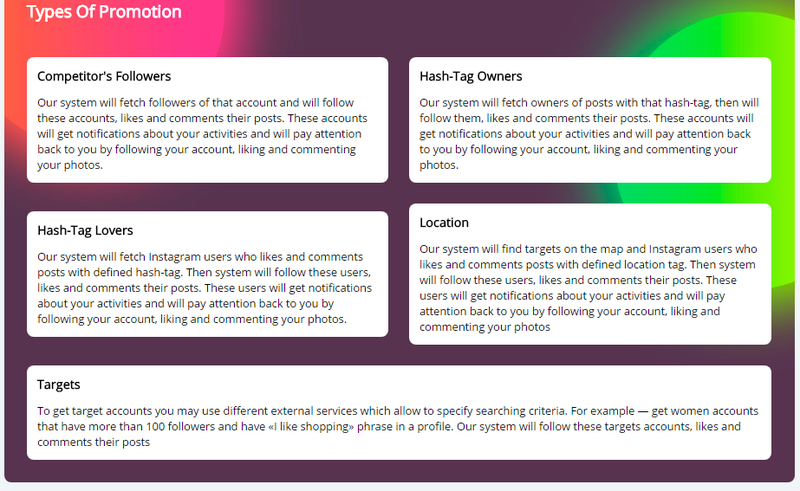 SMM-geeks offers full cycle of Instagram promotion with detailed settings to improve promotional power. 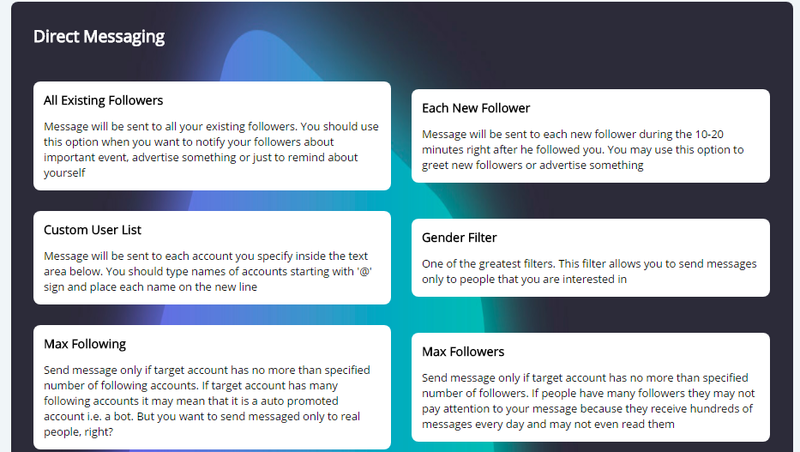 For example, if you are aiming to get followers on your business account — just choose needed options, such as gender, account activity and many others. 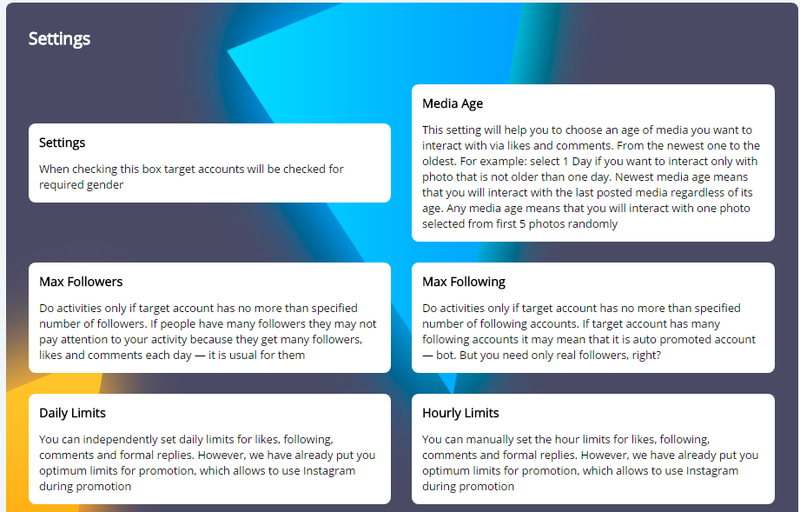 Do activities only if target account has no more than specified number of followers. 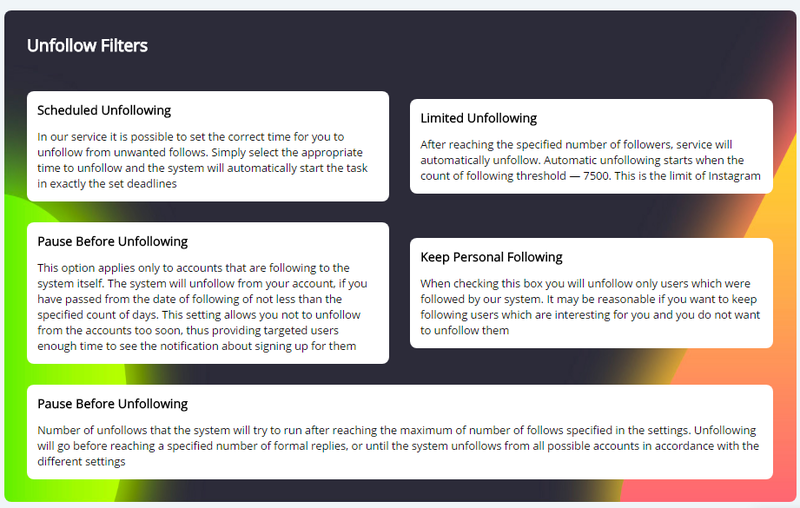 If people have many followers they may not pay attention to your activity because they get many followers, likes and comments each day — it is usual for them.